Ataru's childhood friend and classmate. Until Lum showed up she was also Ataru’s girlfriend. She is a neat, clean, sweet, and petite young lady who can be viewed as the archetypically perfect Japanese female. Not long after Lum showed up Shinobu began to develop super-human strength. She like all female members of her class has a huge crush on Mendou. 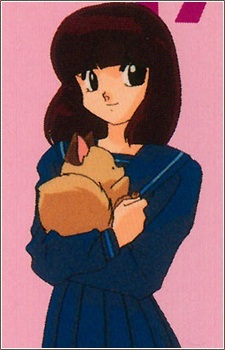 She is often part of a "foursome" consisting of Ataru, Lum, Shuutaro, and herself. By the end of the series, she'd given up on Shuutaro, thinking herself a likely "old maid", until she met a young boy named Inaba who sweeps her off her feet (eventually).